Yea for long holiday weekends! If you’re lucky enough to get one, that is. The Labor Day weekend always has been sort of a random mix of … well, randomness for me. I mean, it’s picnics and cookouts and road trips and fun — unless, of course, you a) have a job that does not recognize long holiday weekends off as the rest of the civilized world does or b) have few social contacts outside of your job so three or four days away from the office sort of stretches into boring nothingness and you promise yourself again that you’re going to get out more. Really, you are. Also, the Labor Day weekend signals the end of summer and the arrival of college football — although it’s still 92 in the shade and you’re going to get sunburned sitting at the stadium all afternoon. So in honor of all this randomninity, here are some random things that have happened to me this week. 1) I was eating lunch with several folks from my lapsed book club — now we just get together and eat and talk and drink — and the conversation turned to books we’d each read and would recommend. Everybody whipped out — or tried to, anyway — their list-making-tools of choice. Top prize goes to my friend who uses both her iPad and her iPhone to keep up with the books she’d read, the books she wanted to read and the books she’d share with others. The rest of us were impressed. And now here’s where the quality of our list-making as a whole goes down rather a lot, because coming in second was me, with my black Papermate Pilot pen — I buy them by the dozens — and my pocket-sized notebook I carry with me always and also buy in bulk. Everyone was complimentary that I not only had these things at the ready but that I could actually find them in my purse/survival bag for potential shipwreck on a deserted Pacific island. Next came my friend who did have a pen but was jotting down books on a the back of a Wal-Mart receipt and then my friend who fished an old envelope out of her purse but had nothing to write with. And, finally, there was the one of us who simply shook her head, ordered more wine and said, “Somebody e-mail all this to me.” I want to be her. 2) Turns out I’d worn unmatching earrings all day on Wednesday. Wore them to the office and to lunch and everything. Talked to dozens of people during the day. Nobody said a word. “I thought that was, like, your fashion statement,” a friend said. Nope — only a statement that I obviously need more coffee before I try to get dressed in the morning. 3) I was hanging out with 2 1/2-year-old grandson Capt. Adorable and he said what I heard as “want animal bacon.” I naturally thought he was a genius baby for recognizing the difference between animal bacon and vegetarian bacon, but then I realized that we probably weren’t talking about “bacon” at all because he kept saying it while gazing longingly at the TV. Translation from his mom (my older daughter): “Want ‘Elmo’s Blanket’,” a DVD about Elmo journeying to Grouchland to retrieve his blanket. No bacon involved at all. I love these earrings! A friend of my college-age daughter gave them to her for her birthday and they are so incredibly cute. 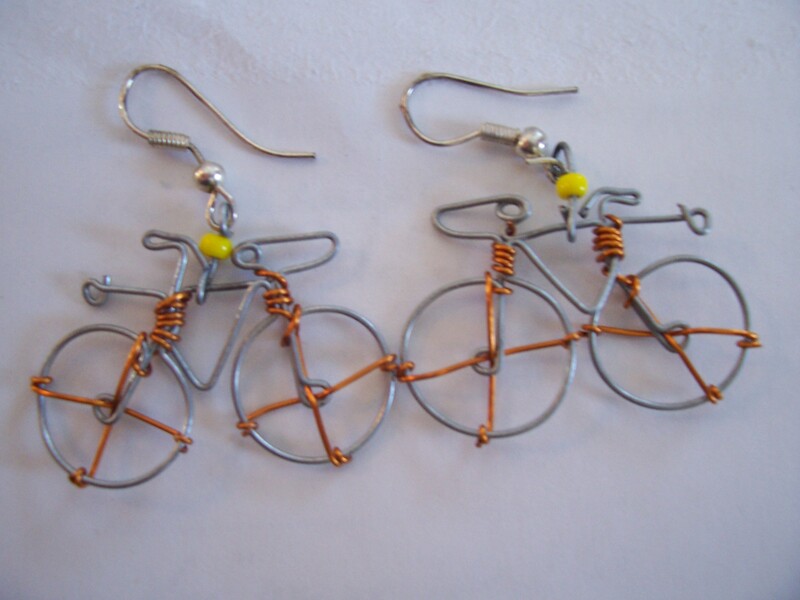 My daughter rides her bicycle everywhere she can, so these earrings were the perfect gift. They came from Sojourns in downtown Birmingham, Alabama. Check out the Web site at http://www.shop.adventureartpeace.com. 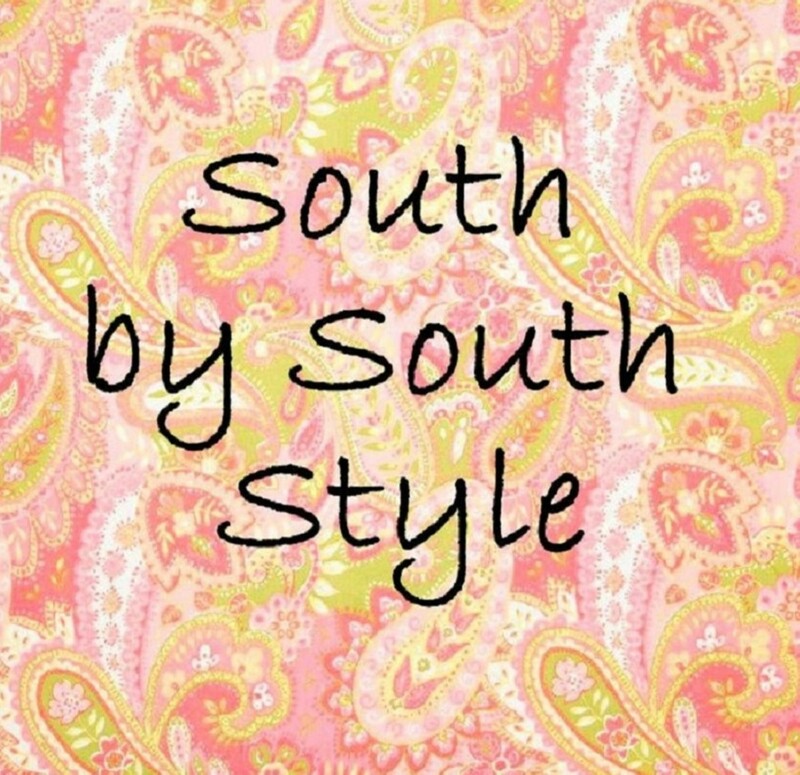 Sojourns is a Fair Trade retailer and gallery that offers handmade clothing, gifts, housewares and food from around the world. I’d like to adopt Soujourns’ theme: “Adventure – Art – Peace.” But of course I’d add “Coffee and Chocolate” to the list. I’ve got my priorities, after all.